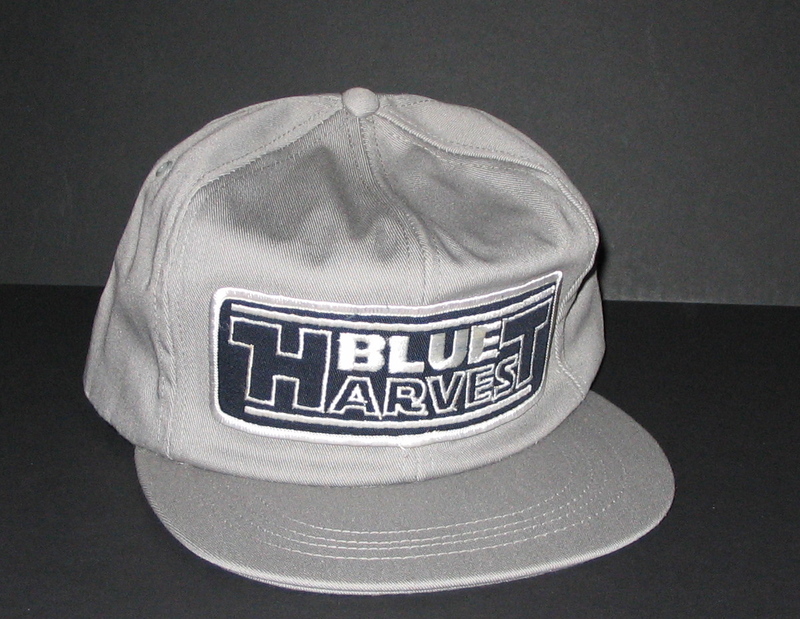 This cap was used by the crew of the then titled film, Revenge of the Jedi, to conceal the filming from the public using the imaginary horror film, Blue Harvest as a front. The Blue Harvest caps are among the most difficult to find ROTJ-era cast and crew items. The ROTJ crew produced a host of Blue Harvest products to mask the name of the movie including signs, stationery, T shirts, and even a retro shirt during the making of the Star Wars Special Editions.